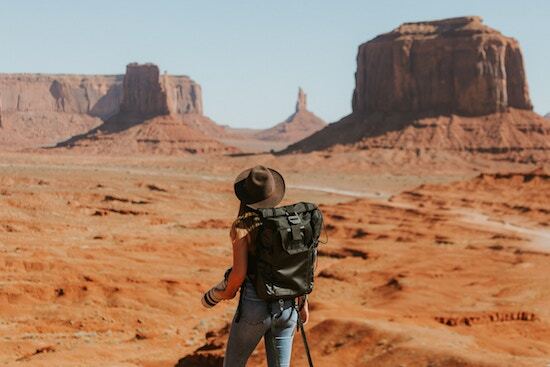 5 On-Budget Backpacking Tips for Beginners – Currently, backpacking vacation is still being a trend particularly in the realm of young people. There are many reasons for this. First, backpacking is considered more affordable than conventional vacation. Second, well, it just looks cool and challenging mainly if you can reach remote places, where there are not all people able to do it. Unfortunately, those perceptions are not necessarily true. In many cases, backpacking even forces you to spend more money. Besides, the challenges may also turn into the dangers for the lack of preparations. So, how are the smart tips of backpacking mainly for beginners? Check them out. Before starting the vacation, make sure that you have provided a detailed itinerary. Of course, you need to do research regarding many things including transportation, tickets, foods and drinks to buy, and many more. You should not worry since there is now the internet that eases you to do all those things. Besides, it also eases you more to arrange the budgets. If you want to have an on-budget trip, it means you must press your desire, particularly in term of visiting expensive-ticketed spots. Backpacking means bringing the entire stuff in the backpack. The backpack you use for vacation must be bigger than the backpack for school for sure. However, it doesn’t mean you can just bring anything there. Choose only the most important things to be in your backpack including the clothes, camera, Smartphone, GPS, and other gadgets that are needed for doing a trip. When you are conducting the vacation during the rainy season, make sure to bring an umbrella or raincoat. Utilize also the vacuum bag or roll the clothes so that they do not fill in the backpack completely. Above all, you must feel comfortable with all of them. The accommodation chosen must be those that are backpacker-friendly. For example, rather than choosing a hotel with all of those fancy facilities, a small hostel or inn is a better choice. Moreover, it is if you really want to save your budgets more. Interestingly, some inns for backpackers truly give you a chance to meet new people. It is so good for sure, not only for making more friends, but you can also share your experiences and listen to theirs. Since you are still a beginner, don’t be embarrassed to let them know about it. Maybe, helps and information from them are needed to ease your adventure. In general, natural attractions tend to offer you a cheaper ticket than the parks, museums, and likes. Moreover, it is if the attractions themselves are still not famous yet. For the reasons, they are more recommended for an on-budgets trip. Sure, there is nothing to be disappointing when you are there. In fact, unpopular natural attractions are commonly still cleaner and more beautiful than popular ones. Don’t forget to prepare your gadgets since the places are commonly far from the city centers.